Former Baltimore Police Commissioner Darryl De Sousa has pleaded guilty in federal court Tuesday that "he willfully neglected to file income tax returns and falsely claimed deductions to slash the amount he owed to the Internal Revenue Service," said The Baltimore Sun. De Sousa, 54, resigned as the city's top cop in May, after failing to file his federal taxes for 2013, 2014 and 2015. He faces up to three years in jail and a $300,000 fine when he is sentenced in late March 2019. “You do agree you’re guilty of these three offenses?” U.S. District Judge Catherine Blake asked him on Tuesday. “Yes, your honor,” De Sousa said. He joined the Baltimore Police Department in 1998, and in January 1999, submitted a W-4 to the city of Baltimore incorrectly claiming nine adjustments for state and federal taxes. This "substantially reduced" the amount of taxes withheld from his salary, according to the U.S. Attorney's Office for the District of Maryland. In addition, when he filed his state and federal income taxes for 2008 through 2012, he claimed deductions he was not eligible for. This included "unreimbursed employee expenses when he had no such expenses, mortgage interest deductions and deductions for local property taxes when he did not have a mortgage or own any real property, and business losses when he did not operate any businesses," according to the state's attorney's office. De Sousa's long history of alleged tax fraud continued through 2011, 2012, and 2014, when he neglected to file tax returns or pay any penalties or interest for filing late. During those years, he did file fraudulent claims for unreimbursed employee expenses and charitable donations, according to the state's attorney's office. Under his plea agreement, De Sousa must pay the federal government and the state of Maryland a total of $60,645. Before his deceitful tax scheme was uncovered, De Sousa was named the Baltimore top cop in January after Mayor Catherine Pugh fired his predecessor, Kevin Davis. He served less than four months before stepping down on May 15. Gary Tuggle has served as interim commissioner since. 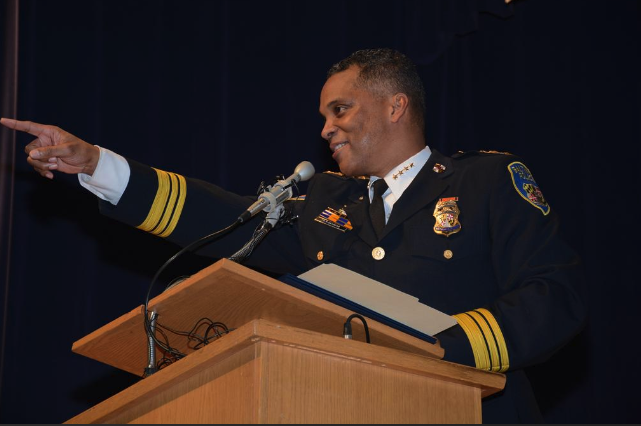 De Sousa's case has added to the instability in the Baltimore Police Department. The department has had four commissioners since the 2015 Baltimore Riots. The city is drowning in homicides with a homicide rate that is the highest in the country, according to recent FBI data. In November, Mayor Catherine Pugh named Fort Worth Police Chief Joel Fitzgerald as a possible candidate to become the city's next top cop. The city council is expected to vote in early 2019 on his nomination.